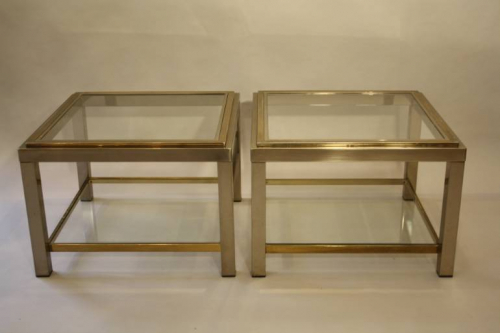 A sturdy and well made pair of versatile two tier silver and worn gold metal side tables. Nicely aged with worn patina to the gold banded areas. Original glass with some minor scratches. Overall quality is good. French c1970.